The mild climate and steep hills make this ideal territory for orchards and vineyards. A varied walking tour leads you past steep rocks, across soft hills and through aromatic vineyards. Picturesque hamlets dot the landscape and as well as the famous wine, there are delicious apricot delicacies to be sampled. In Wachau the Danube is at its most beautiful. A friendly climate and steep slopes form ideal conditions for vineyards and orchards. Some of the best wines of Austria grow in Wachau (and so do the local apricots). This varied self-guided walking holiday passes steep rocks, wanders over gentle hills and meanders through scented vineyards. A special feature of this countryside is the many small villages where the emphasis is on good food and wine. In spring time the blooming flowers, in summer the fruit harvest and in autumn the grape harvest. 7 nights accommodation on a B&B basis. Bus fare from Aggsdorf to Melk, approx. EUR 6 per person. Walk up into the vineyards to the tower with a view over the ‘blue’ river Danube, the city Krems and the magnificent monastery Göttweig. Cross the hills to ruin Dürnstein or take the picturesque Talgrabensteig via Talweg to Dürnstein. Take the ferry from Dürnstein to Rossatz. Continue past the largest apricot growing area of Austria, on old tracks up to Seekopf with stunning views to the Alps. Optional walk along Danube through orchards to the ferry. In Weißenkirchen a theme trail leads through the vineyards. Surrounded by sunny vineyards and green forests the mighty gothic parish church of Weißenkirchen is a remarkable sight. 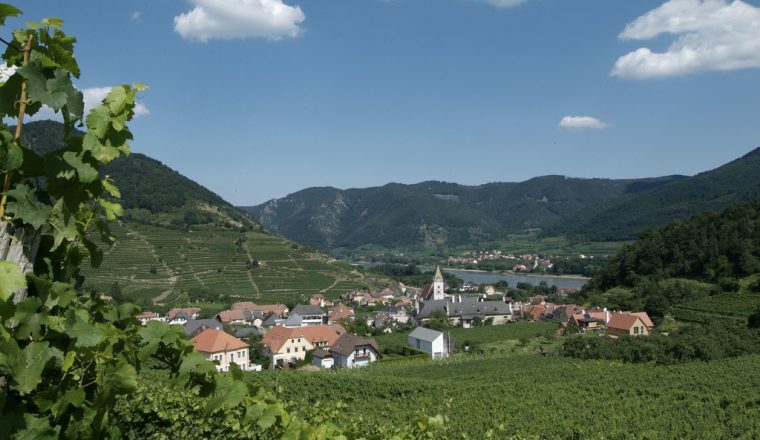 Wine growing villages such as Joching, Wösendorf and St. Michael form together with Weißenkirchen the biggest wine grower community of the Wachau region. Visit museums, seize beautiful walking trails or take a boat tour on the Danube.Enjoy a glass of Wachauer wine in one of the wine taverns. Leave Weißenkirchen via the wine trail, past picturesque wine cellars and ascend to Seiber. Walk through the forest, initially quite steep to Buschandlwand where an observation platform allows stunning panoramic views. 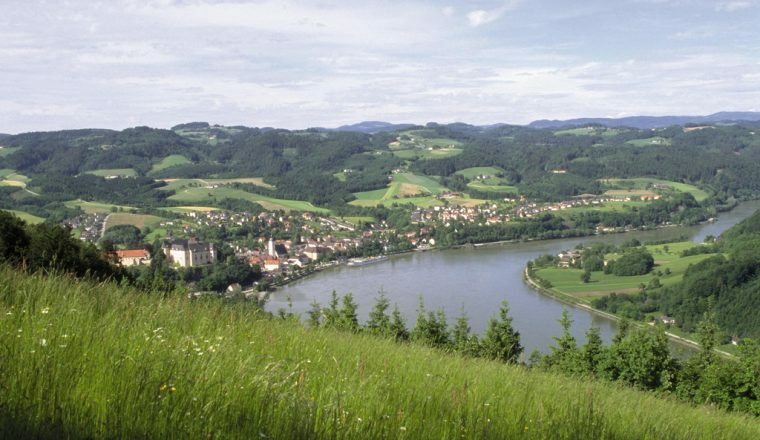 An alternative route passes through vineyards to the famous wine grower community Spitz an der Donau. 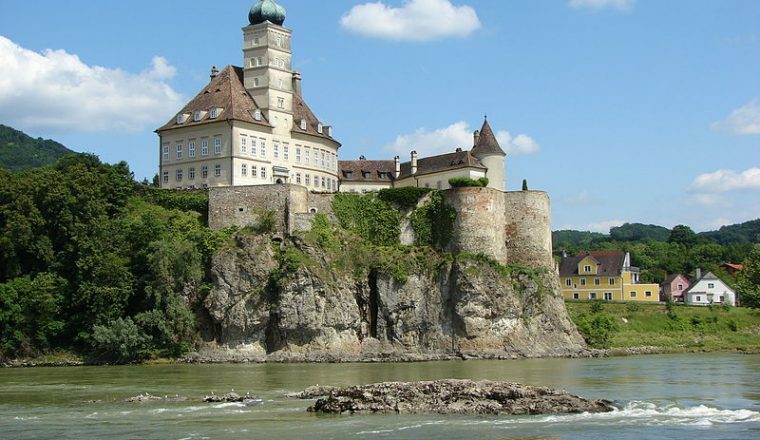 Individual journey by boat from Spitz to Krems on 5-day tour.Cross the Danube by ferry to Maria Langegg. Here you follow the St. Jacob’s trail to ruin Aggsbach. Visit the fortress with scenic views across the Danube valley and stop for a snack. Downward to Aggsbach where you catch the bus to Melk. 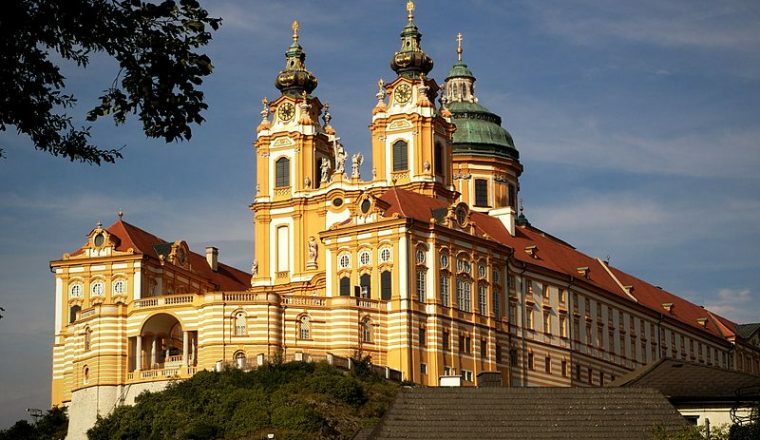 Visit the impressive monastery with its beautiful grounds before you board the Danube boat. During the cruise to Krems you pass the highlights of the week, see all the vineyards as well as Spitz and Durnstein. £799 per person based on two people sharing. Accommodation in hotels and inns in rooms with ensuite bathrooms. By train from Vienna to Krems and a few minutes walk to the starting hotel. Limited free parking at the hotel, no reservation possible. Public parking garage available for approx. EUR 15 per week, no reservation required. Four nights accommodation in good quality inns and hotels with breakfast, luggage transfers, maps and route notes. Vienna is the most convenient airport to fly into as there is a good train connection to Krems, the starting point of the holiday. Other options include flying into Salzburg or Linz but the train connections are longer from these airports. Further details on train times can be found on the Austrian Railways website. You walk mainly on well maintained trails and some paved vineyard paths. Depending on the route, you can make the stages more comfortable or more challenging. The peaks in the Wachau region are not high, but steep in places. Surefootedness therefore is required in some places. This week offers a perfect blend of nature, culture and culinary delights.